There’s no “I” in team. It’s the one slogan I remember from my participation in team sports growing up. Whether it was playing field hockey, basketball, softball, or volleyball, my coaches always emphasized that everyone has their unique role to play on the team. I also came to believe that a team where every player contributes will be more successful than a team with one superstar who dominates. Team work did not play an important role in my academic development, however. Homework and projects were usually solitary, and success rested entirely on my own initiative and work habits. It was only in my children’s generation that working in teams became an essential part of public school education. In today’s world, the ability to work well with others is necessary for success in virtually every profession, including the church. Through the synergy of working in teams, the sum is greater than the individual parts. Teamwork draws out and makes the best use of the unique gifts of each member. By engaging multiple disciplines, teams include different perspectives and can cut through departmental insularity. 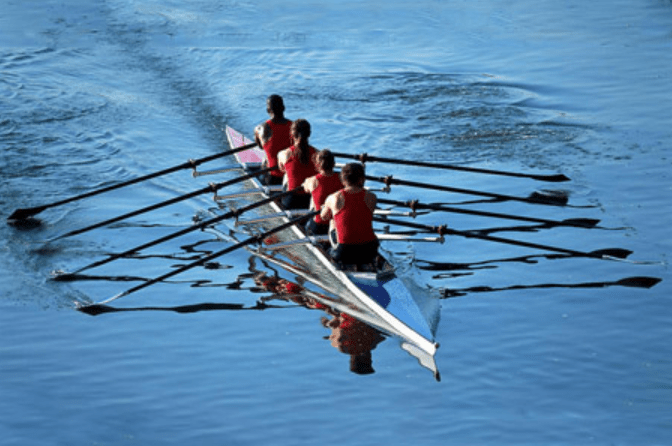 Cultivating and managing effective teamwork is not only a skill, it is an essential art for all leaders, including clergy and lay leaders in congregations. A defining experience in my own professional development in ministry occurred when I was a young pastor serving a large downtown church with many staff. One staff member was in the habit of working at odd hours of the day and night. There were some legitimate reasons for Joe to have flexibility, and I wanted to be sensitive to that need. Unfortunately, the unpredictability of Joe’s schedule and his unwillingness to communicate when he was going to be working created disruption and affected the ability of other staff to get their own work done. I was patient and kept trying to show grace and understanding toward Joe until one day two staff members sat me down. They said, “Laurie, we need to talk. We know that you are sensitive to this person’s family life and needs and want him to succeed. But it’s not working for the rest of us. We can’t do our job well when we can’t count on Joe. “There is such a thing as being too gracious. We think Joe is manipulating your compassion for his own benefit. He doesn’t seem to want to be part of our team. Furthermore, he needs to be available to the rest of us by working consistent hours, and you’re the one who has to share that hard message.” It was a wake-up call for me. Joe and I had a heart-to-heart talk, he eventually resigned, and I received a valuable lesson about teamwork. I also learned about the importance of hiring the right people who fit the cultural and professional expectations of wherever I am serving. Patrick Lencioni’s 2016 best-selling book, The Ideal Team Player; How to Recognize and Cultivate the Three Essential Virtues, has been immensely helpful in understanding how to create outstanding work teams. 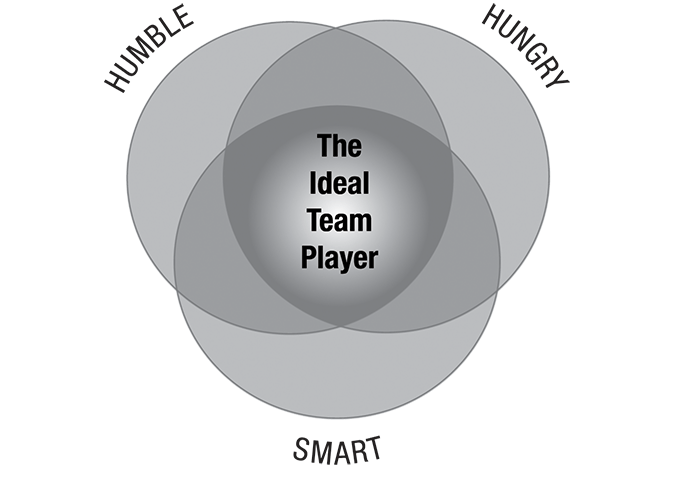 The thesis of Lencioni’s book is that the three most critical virtues of an ideal team player are humility, hunger, and smarts. Why call them virtues rather than characteristics? Because virtues imply integrity and principles. In addition, virtues are not necessarily innate and can be learned if one is motivated. The first and most important virtue is humility. A humble employee is more concerned with the success of the team than being singled out for individual achievement. At the same time, humble team players are not afraid to honestly acknowledge the skills and talents that they bring to the team, though never in a proud or boastful fashion. People who lack humility in a significant way and demand a disproportionate amount of attention are dangerous for a team. The second virtue is hunger. Ideal team players are single-mindedly committed to their work and do whatever it takes. They are self-motivated, disciplined, desire to work hard, and know how to get things done. At the same time, they keep balance in their lives and know when to “give it a rest” in order to preserve their mental and physical health. The third virtue is smarts. This virtue may seem deceptive at first because the smarts necessary to be an ideal team player are not necessarily professional, technical, or intellectual smarts. Smart team players are emotionally intelligent and know how to relate well to all people. They are self-aware, understand the dynamics of human interaction, rely on intuition, and use good judgment in their words and actions. The key to being an ideal team player is the combination of all three virtues. Significantly lacking in humility, hunger, or smarts will hold the entire team back. Without humility, the team will become all about “them.” Without hunger, the team will be hamstrung by someone who is not self-motivated and is only invested in the bare minimum to get by. And without smarts, the team can become derailed by members who have limited social awareness and are clueless about how the insensitivity of their words and actions affects others. Teams that display all three virtues are better able to identify and address dysfunctional behavior. Local churches are filled with teams. Whether we call them committees, commissions, or task forces, churches are most effective in their ministry and outreach when the members of each team demonstrate humility, hunger, and smarts. Of course, there is an added dimension for any faith-based team. That is a deep desire to be open to the movement of God in their own lives and a commitment to the mission, vision, and core values of the congregation of which they are a part. How can you build better teams in your church? Look for leaders who have a deep commitment to Christ, demonstrate humility, hunger, and smarts, and believe that there is no “I” in team. Praise team members who contribute effectively, and gently but firmly call out those demonstrate bad behavior. Assess current staff and lay leaders and develop/coach those who are lacking in one of the virtues. Hire new staff with an eye for humility, hunger, and smarts. Lencioni’s “Final Thought” at the end of his book says it all. He claims that humility is the greatest of the virtues and writes, “The most compelling example of humility in the history of humankind can be found in Christ, who humbled himself to share in our humanity. He attracted people of all kinds when he walked the earth, and continues to do so today, providing an example of humility that is as powerful as it is countercultural.” The ideal team player. This needs to be read by our politicians..on both sides from the leader on down! Thand for sharing! As always, most thought provoking. I believe we have many teams at First but can always use more.